It is with great sadness that we share the news of the passing of a long-time member, Lou Betstadt. Lou was a very special person who genuinely cared for and supported all his friends. 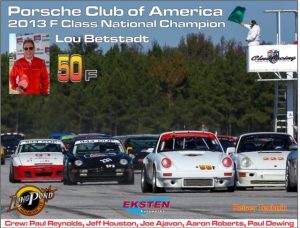 He was an accomplished PCA Club Racing champion and a senior instructor and mentor in our HPDE program. Lou will be sorely missed by all of us. Rochester – After a brief battle with pancreatic cancer, on Thursday, November 15th, 2018, Louis Betstadt, loving husband, father, grandfather, son and brother, passed away peacefully at the age of 70, surrounded by his family. He is predeceased by his father, Ralph L. Betstadt. He is survived by his wife, Linda; daughters, Sarah (Daniel Trout) and Molly; grandchildren, Charlotte, Simon and Margot; mother, Lillian Betstadt and his sister, Karen Betstadt (Nile Schwabauer). Louis’ priority was always his family and he especially enjoyed being a grandfather. The only thing to rival that love was his passion for cars. 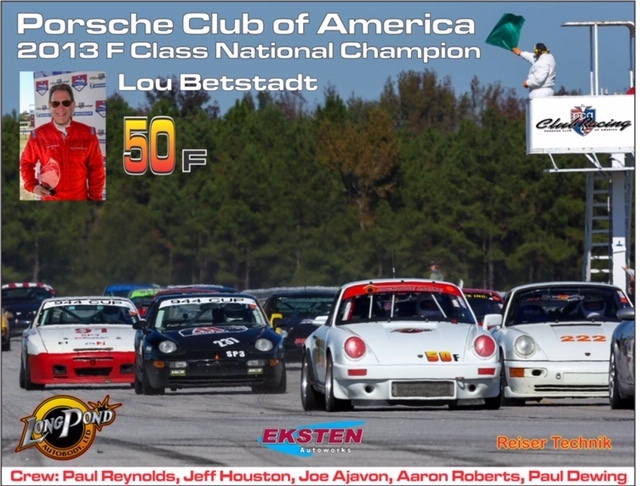 Louis will always be remembered as a fierce competitor with Porsche Club Racing and was very proud to have won the 2013 F Class National Championship. His career started as an educator in the Greece Central School District where he founded WGMC 90.1. His second career began 36 years ago as a financial advisor with Ameriprise Financial Services. Louis was a wonderful husband, father, and grandfather; a great friend, who loved working with people, especially his clients and racing buddies. He will be deeply missed by everyone. Family and friends may call Saturday, December 8th, from 1-5 PM at the funeral chapel (2305 Monroe Ave.) where a Celebration of Life gathering will be held Sunday, December 9th at 11 AM.